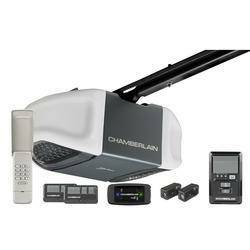 Currently offering a special on a New garage door opener installed. 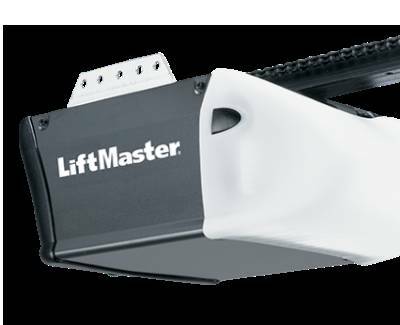 This is a new in the box LiftMaster Garage Door Opener. It includes the 1/2 hp chain drive opener, 2 remote controls, safety sensors, built-in WiFi gateway (so you can use a app to control your opener with your phone, tablet, PC), and wall control panel. This also includes removal and disposal of your old garage door opener (if applicable) and professional installation of the new one, $375. There are many other options available also. Such as belt drive, keyless entry, backup battery, 3/4 HP, built-in Wi-Fi gateway (for computer and smart phone control), wall mounted jackshaft openers, and more. Also offering a special on a New Garage Door, installed $700. This is a (8'x7' non-insulated metal sectional door, with torsion spring system). That includes removal and disposal of your old door, tracks, cables, springs, hardware (if applicable), and installation of all new. Also installation of new vinyl door stop moldings with weather seals. There are also many different sizes, colors, insulation, door styles, and window styles of garage doors to choose from. We offer all garage door services. From new garage doors, garage door installation, garage door repair and tune-ups. Garage Door spring replacement (torsion and extension springs) and garage door opener repair, replacement, and new installation. We can take care of all your garage door needs. Feel free to contact me by email, phone, or text.